Activating Wellness with Fitness Experts at Zoëtry Paraiso! At Zoëtry® Wellness & Spa Resorts, we strive to offer a truly holistic and personalized approach to well being for our guests. Consequently, one of our favorite aspects of the Endless Privileges® concept is that it includes a wide variety of activities and experiences, allowing you to customize the rejuvenating, enriching escape that’s just right for you. In today’s post, we’re excited to share details about some of the fitness instructors who will soon be joining us at Zoëtry Paraiso de la Bonita Riviera Maya! Read on to learn about what these special guests have to offer. Join us in paradise at Zoëtry Paraiso de la Bonita Riviera Maya and explore the many ways to be well inside and out. Make Wellness a Priority in 2018 at Zoëtry Wellness & Spa Resorts! A new year means a new you, and at Zoëtry® Wellness & Spa Resorts, it’s our mission to help you achieve relaxation and wellness while vacationing in Mexico, the Dominican Republic and Jamaica. With an extensive and luxurious list of wellness & spa amenities and areas at each resort, you will feel rejuvenated and ready to take on 2018 after a stay at Zoëtry Resorts! Find your balance at Zoëtry Resorts in 2018! Read on to learn more about how we can help you with your resolutions. Happy Beach Thursday! Get Fit at the Beach! How would YOU like to win an all-expenses paid trip for two to Zoëtry Agua Punta Cana in the beautiful Dominican Republic? Thanks to the American Council on Exercise (ACE), for one lucky grand prize winner, that dream will come true! In an effort to help individuals combat some of the effects of holiday weight gain, ACE has declared Wednesday, Nov. 27, the day before Thanksgiving, Workout Wednesday. ACE is currently hosting a photo contest on Twitter and Instagram. Everyone who uses the hashtag #ACEWorkoutWed with a photo of themselves participating in a fitness activity will be automatically entered to win prizes each week. A grand prize winner will be chosen on Workout Wednesday, Nov. 27, to receive a 3-night stay for two at Zoëtry Agua Punta Cana. Now there’s a great excuse to get moving! Once you’re at Zoëtry Wellness Spas & Resorts, there’s plenty of ways to stay active and healthy! At Zoëtry Paraiso la Bonita, for example, guests may start with a Nutritional and Body Composition Assessment that will analyze the proportion of various important components of the body to maintain a healthy lifestyle such as fat percentages, total body water and muscle mass. The Comprehensive Exercise Assessment recommends a personalized regime for guests to take back home with them, while certified personal trainers offer various techniques designed to meet fitness goals. Zoëtry Wellness Spas & Resorts offer a variety of activities to get your blood pumping in new, exciting ways. The ocean provides the perfect place to stay active. Try snorkeling, scuba diving, windsurfing, kayaking and stand-up or paddle-boarding. Swimming in itself has enormous health benefits and seawater has long been known for its restorative properties. Running on the beach is a great way to get fit while protecting joints from high-impact surfaces. There’s also volleyball and tennis courts, an aqua gym, golf course and yoga and dance classes. The possibilities are endless. Getting fit at Zoëtry is so much fun you won’t even think of it as exercise! Mark Knowles, a yoga teacher from the Bahamas, will be visiting Zoëtry Paraiso de la Bonita Riviera Maya until April 21 and will be hosting yoga classes everyday starting today and ending on Saturday, April 20. 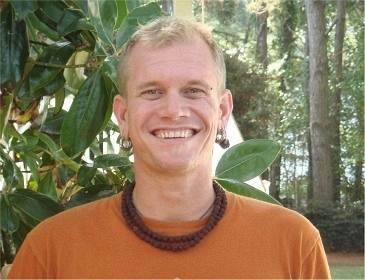 Mark began studying Zen Buddhism and Aikido in 1990 with master Robert Balker. This planted the seed of Svaâdhyaâya–Self-study and Tapas–discipline. Mark always had the desire and love to travel and it was this love that brought him to his first yoga class in Charleston. Mark specializes in Jivamukti yoga. This particular type of yoga offers great practicality in the practice and it is a form that demands use in everyday life. If you are currently at the resort, or will be visiting Zoëtry Paraiso de la Bonita this week, be sure to check the daily Sundial for class times. It’s a known fact that vacation often causes many of us to let go of our workout routine. However, just because you’re on vacation, doesn’t mean you can’t exercise. Here at Zoëtry Wellness & Spa Resorts, we’re always encouraging our guests to stay healthy through exercise and proper nutrition. In addition to full gyms located at each of our resorts, we also offer guests a number of fitness classes each day such as yoga, Pilates and Zumba! Instead of running on the treadmill for 30 minutes, take a jog along the beach. Ditch the free weights in favor of resistance training in the pool during water aerobics. Replace the burn of spinning class with a mountain bike adventure tour or hike. Working out on vacation shouldn’t be a chore. Consider it as a chance to experience something new, while burning the calories from last night’s mango margarita! At Zoëtry Wellness and Spa Resorts, we offer a number of fitness classes for guests to enjoy during their stay with us. One of our most popular classes is yoga and many guests say it’s the perfect way to start their day! Yoga not only builds strength, but also relaxes the mind and body. Below are a few yoga poses for beginners that can help guests bring the relaxation of their vacation home with them. Butterfly: Sit with your knees close to your chest. Relax your knees out to either side, and gently press the bottoms of your feet together. Hold your feet or your ankles. Lean forward slightly. Boat Pose: Sit down with knees close to your chest and place feet on the floor. Keeping your body close to vertical, hold behind your knees and lift your feet to bring shins parallel to the ground. Release your hands and stretch arms straight forward. Lean back slightly as you stretch your legs toward straight. Downward Dog: Start on your hands and knees, shoulders over wrists, toes tucked. Make a tall “V” shape by lifting hips straight up, sinking upper chest and shoulders, and relaxing down the backs of legs into your heels. Reclining Goddess: Lie down flat on your back. Lift both knees up, bringing your feet right behind your hips. Let your knees fall open to either side, bringing the bottoms of your feet together. Lisa Owens, a FitnessProTravel instructor, recently spent some time visiting us at Zoëtry Agua Punta Cana teaching yoga and other classes to our guests. Zoëtry Agua Punta Cana is located just minutes from Dreams Punta Cana. It is very small, only 51 rooms, so being a part of the guest’s wellness experience is very personal. This resort has a gorgeous beach. It is very long and I would approximate at least 250 yards, all lined with palm trees. This beach is kept in pristine condition. For a person that wants to walk or run alongside this white and hot-sanded beach, it’s expansive and smooth. There may be another resort close by, but I did not see it nor any people other than the guests basking under grass-covered umbrellas on Agua’s beach. A restaurant named Indigo sits oceanfront offering International fare for lunch and dinner in a casual setting. There are cold drinks and comfortable couches to sit back and watch the waves roll by. Next to Indigo is the best pool area for aqua aerobics with a wooden deck perfect for you to stand on while teaching. There are two additional restaurants. Open all day is Amaya, which is casual Spanish and Dominican cuisine. And finally, Fork is a fusion of International cuisine in a fine dining setting with rare vintage wines included. The combination of fine dining within the open and breezy room is truly unique. If you are too relaxed to leave your room for dinner, then 24-hour room service is included with your Endless Privileges™ package. Walking through this resort I spot a number of perfect areas for pilates, yoga or meditation classes. Personally, I am a shade-dweller and would choose the spa are. The spa’s terrace is designed with wooden floors and pergola. The breezes drift through the open walls. Or take the class indoor the spa, listening to the pool fountain. Zoëtry Agua’s fitness room is well equipped for cardio and sculpting. It is not very big, but does not need to be as the equipment is top notch and there are plenty of areas non-equipment activities. The fitness equipment is new. Click here to read the rest of Lisa’s blog.